Celebrate your individuality with our Eaux de Toilette, expertly blended by renowned master perfumers. Envelop your home with enchanting scented candles and room fragrances. 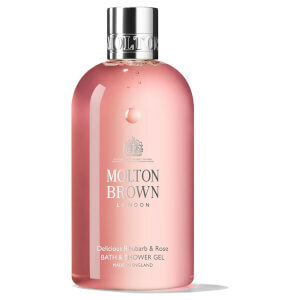 Discover adventurous collections from Molton Brown, exclusively at Lookfantastic. An icon; spiced with invigorating black pepper, coriander and vetiver. Awash your senses with sea-soaked adventure in this refreshing, marine fragrance. Molton Brown has been on a fragrance discovery since they started their journey over 40 years ago. Their travels have taken them all over the world to source the finest scents and rarest ingredients; blending each one into something incredibly special. They perfect each scent to create the most intoxicating fragrances and delicate aromas; bringing you unique perfumes, bodycare and bath products. Nestled in luxurious gifting, each Molton Brown purchase will change the way you think about fragrance and aroma. With beautifully scented collections for him, her and the home, there has never been a better time to begin your own journey with this wonderful brand.